Next, we are going to add the markup for the form. Add the following code in between the body tag. This form was designed using the table structure for the layout. You will likely want to create the layout using divs, which is more appropriate. Here is what the page looks like in the browser. For the action we will take when the Complete button is clicked, we will create the submit function. 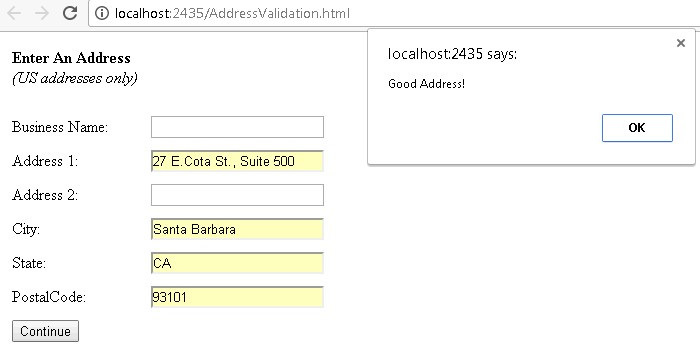 This will take in all the values from the form, call the web service and then display the response to the screen. I added an alert and left the URL blank, this will allow for a quick test to make sure what we have is working. Later we will update the failure and success sections as well. For now, they will simply display an alert for testing. First, let’s start by making sure we are getting all the inputs into the submit function and are getting all the inputs back. I am going to display an alert with DataValue variable so we can see what we have. Here is our empty aspx.cs page, where we will be adding our function. It will go below the Page_Load method. Let’s call the method, CallDOTSAddressValidation3_GBM. There are two things to notice with the signature for this method. We decorate the method with the WebMethod attribute so that our new method can be exposed as a web service method. And, we declare it as static because of the stateless nature of the static methods. An instance of a class does not need to be declared. To test things out, for now we will just take one string input and return it to the Ajax call where we will display it. 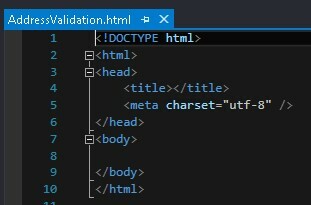 In order to do this, we will need to adjust our DataValue call in the script on the html page. We will also need to add the URL and method to the Ajax call. I also adjusted the alerts so we can see the success or fail. Great! That worked! Now, let’s write up the code in the aspx.cs page to make the call to the service. We could grab some sample code from the web site and walk through it, but we have documentation and tutorials already on how to do that. Instead, I am going to take a short cut and grab what I need from NuGet. 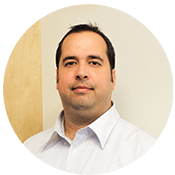 We offer NuGet packages for most of our services, which include best practices such as failover configurations and speeding up the integration time. To do this, we will need to open up the NuGet Package Manager in Visual Studio under the Tools menu option. When browsing for our services, you can type “Serviceobjects”. You should see a list of available Service Objects NuGet packages to choose from. Select DOTSAddressValidation3US, you will be prompted to select the project you want to install it under. Select the project and then click install. Once the installation is complete, a ReadMe file will automatically open that will contain a lot of information about the service. You will also notice a few things were added to your project. First, a DLL for DOTSAddressValidation3US was added to the bin folder and was referenced in your project. Next, an AV3LicenseKey app setting was added to your web.config file with the value “WSXX-XXXX-XXXX”. You will need to substitute this value for the key you received from Service Objects. Also in the web.config you will see several endpoints were added. These will be used in the pre-packaged code to determine how to call the service based on your key. First we get the license key from the web configs file. Then we make the call to the service. You will notice that we throw in a Boolean parameter at the end of the call to GetBestMatches for live or trial. This is an indicator that will tell the underlying process which endpoints to use. A mismatch between your license key and this Boolean flag will cause the call to the service to fail. Here is the whole method all together. Success or failure here does not mean that the address is good or not. It is really just a success or failure of the call to the aspx web method. On failure, we simply make an alert stating something went wrong. On success, we examine the response value, determine if the address was good or not and display the appropriate response. Here is the whole submit function. Here is a good address. And here is a bad address. In the submit function, we did the most basic check to see if an address was good or not. But many more data points from the response can be used to make any number of conclusions about an address. One thing you will notice is that AddressResponse.Addresses is an array. A check to see if multiple addresses are returned can be valuable because in certain situations more than one address may be returned. 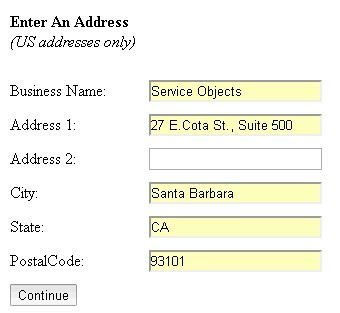 One example is when an East and a West street address are equally valid responses to an input address. 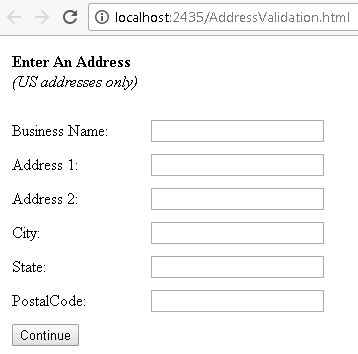 In this case you may want to display both addresses and let the user determine which to use. You may want to evaluate the individual address fragments or the corrections that were made to the address. The data points associated to the DOTS Address Validation US 3 service can be found on our development guide page for the service. The following is commented out code that I added to the submit method for easy access to the various output data points. 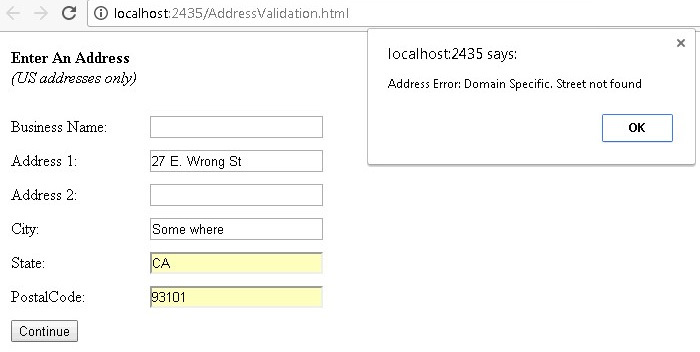 And here is the same thing but for the Error object in the aspx page.